Boomerang is an Australian word which has moved into International English. It was borrowed from Dharuk, the Aboriginal language spoken in the Sydney region. bomerang, bommerang, bomring, boomereng, boomering, bumerang. The Australian Aboriginal boomerang is a crescent-shaped wooden implement used as a missile or club, in hunting or warfare, and for recreational purposes. The best-known type of boomerang, used primarily for recreation, can be made to circle in flight and return to the thrower. Although boomerang-like objects were known in other parts of the world, the earliest examples and the greatest diversity of design is found in Australia. A specimen of a preserved boomerang has been found at Wyrie Swamp in South Australia and is dated at 10,000 years old. Boomerangs were not known throughout the entirety of Australia, being absent from the west of South Australia, the north Kimberley region of Western Australia, north-east Arnhem Land, and Tasmania. In some regions boomerangs are decorated with designs that are either painted or cut into the wood. A hunting or throwing stick is not the same as a (returning) boomerang! There are several myths and misconceptions about the origin of the word boomerang that need dispelling before we investigate its use in the English language and in the modem world. there is no such thing as “the Aboriginal language”; there were in fact between 500 and 600 different Aboriginal languages at the time of European settlement in 1788, each with its own terms for tools and weapons. the returning boomerang was unknown to Aboriginal peoples in most of the Northern Territory, all of Tasmania, half of South Australia and the northern parts of Queensland and Western Australia. Roughly 60% of Aboriginal peoples used both returning boomerangs and non-returning hunting sticks, and therefore had words for them; a further 10% had only non-returning hunting sticks, and the remaining 30% used neither. Aboriginal peoples had no writing so could not record their words before the arrival of Europeans, who soon discovered that the returning boomerang was called a ‘birgan’ by Aborigines around Moreton Bay, and a ‘barragadan’ by those in north-western New South Wales. The real question is where do they come from? Most people would say Australia, and they would be correct, for the most part. We need to establish the difference between a returning boomerang and a non-returning boomerang. Many people, even today, get the two confused. Non- returning boomerangs were used for hunting. Hunting boomerangs, called Kylies, are about three feet long and have a chord width of three to four inches across, being about one half inch thick and similar in shape to a banana. When thrown they fly straight and do not return to the thrower. A throw stick can fly great distances. One hundred to one hundred fifty yard flights are not uncommon. Throwsticks have been found in many countries such as Egypt, Africa, Poland, Holland, United States and of course Australia, just to name a few. How did the kylie come into existence? The best thinking is that prior to throwing sticks people used clubs to settle their differences. They'd use them like a battle-axe and even throw them at their opponent when they ran away. Perhaps it was discovered that a curved club flew further when thrown than a straight one did. They then realized that a thin club flew further than a thick one. At this point the basic concept of a throwing stick was established and used. In Australia it became engrained into the culture and was handed down from generation to generation. The oldest known kylie found carbon dated back 20,000 years old and was made from Mammoth tusk! By the way it was found in Poland. Hopi Indians in the Southwest United States used kylies, though they called them rabbit sticks. So where did boomerangs come into the picture? Truthfully no one can answer the question with surety. Based upon what has been found, it is common belief returning boomerangs originated in Australia. That really doesn't surprise you does it? How do we know that? Primarily from the abundance of boomerangs found there and the lack of returning boomerangs anywhere else in the world. Oh sure there are a few examples found in other regions that many return, but that is still questionable. A Japanese astronaut plans to throw a boomerang inside a space station to test how it can fly in zero gravity, an official said Wednesday. "Mr. Doi said he will personally carry a paper boomerang for the upcoming mission and we presume he will try it when he has spare time," said an official of the Japan Aerospace Exploration Agency. Doi reportedly decided on boomerang tests after he received a request from Yasuhiro Togai, a world boomerang champion from the western Japanese metropolis of Osaka. Doi later underwent training from the world champion on how to throw it, media reports said. 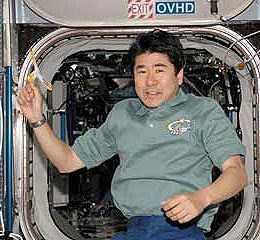 Japanese astronaut Takao Doi, on board the International Space Station, has proved that a boomerang returns to the person throwing it even in the zero-gravity conditions of space. The results differed to predictions made by Togai, who expected a boomerang thrown in zero gravity to fly in a spiral path, rising above the head of the person who threw it. This page is dedicated to poetry about boomerangs. Australian Aborigines used the boomerang as an effective hunting tool. Flying in a huge sweeping arc, it would mercilessly kill or maim anything that crossed its path. The Boomerang Art Project, a collaborative effort between 24 young Kyoto and Bremen artists, seeks to emulate the power of that flight through the creative process. This time, however, the only cutting edge to be found will be the artwork of the participants, who are gathered to live and work together in Kyoto Oct. 5-29, and who will repeat the experience in Bremen next March. and anger is what will come back to you from others. and love will be returned. Thanks to Lorin Ford, Australia, for her great help with this entry!